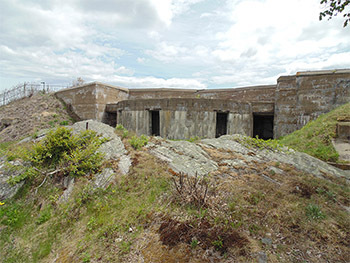 Compared to most of the forts, star- or otherwise, upon which I have trod, Fort Constitution is in pretty poor condition...granted, NHStateParks.org describes what's there as the "ruins of Fort Constitution." 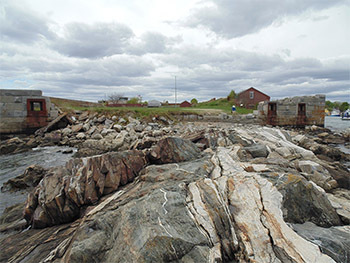 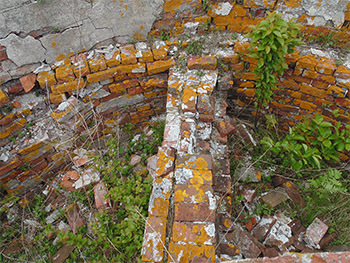 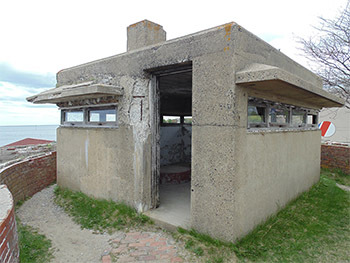 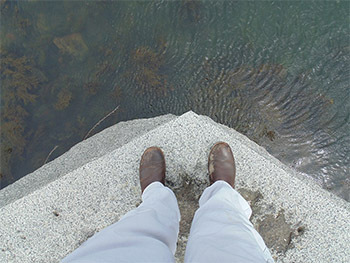 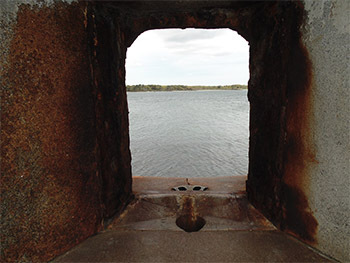 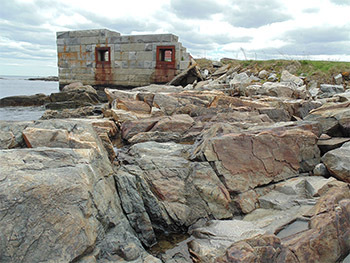 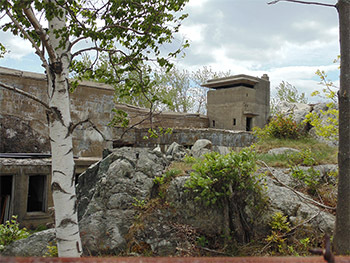 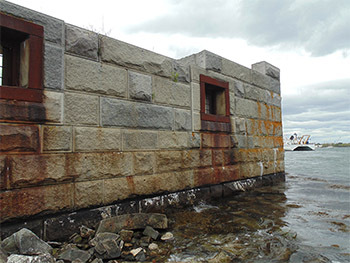 The fort sits on an active US Coast Guard base, which may or may not be a factor in its semi-decrepit state, but most certainly does limit one's explorative possibilities. 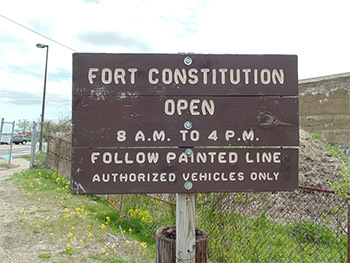 But only in that one is unable to stroll all the way around the outside of the fort...which I know because I tried, and was politely but firmly rebuffed. 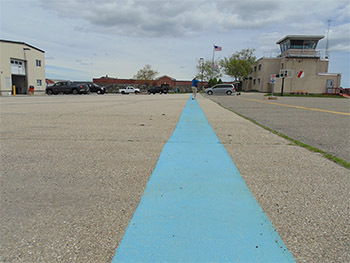 At the fort's miniscule parking area, there are signs instructing visitors to remain on the blue line, a three-foot-wide trail leading to the fort. 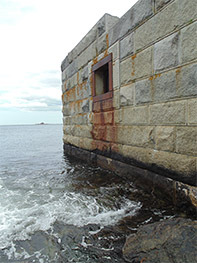 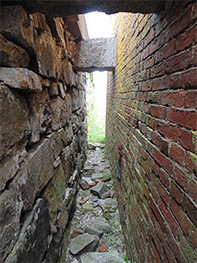 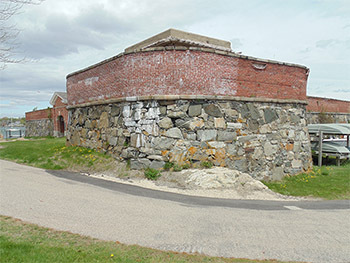 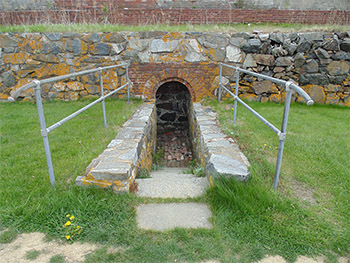 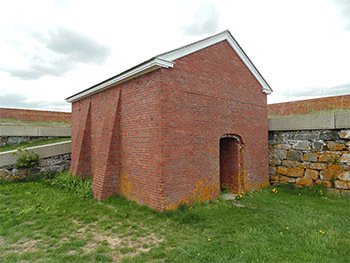 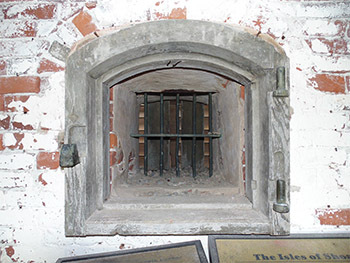 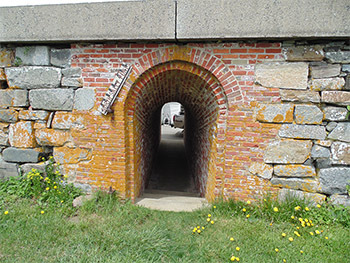 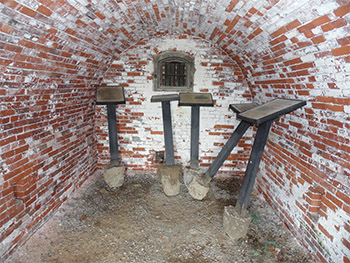 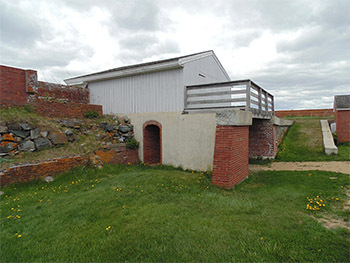 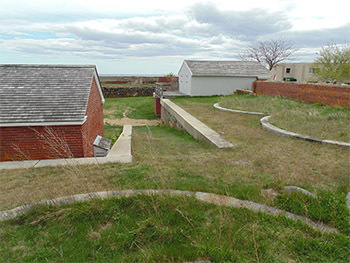 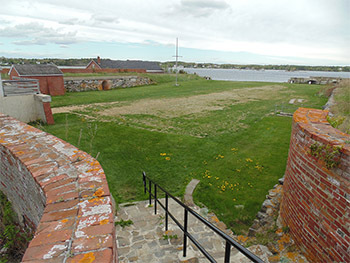 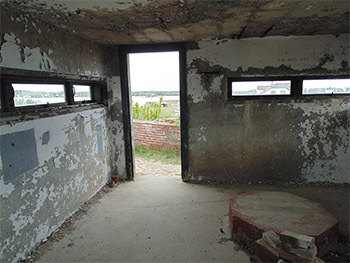 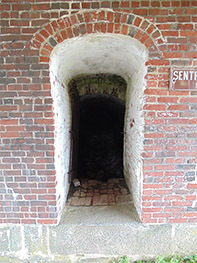 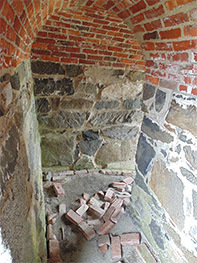 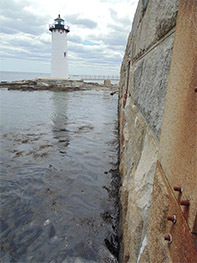 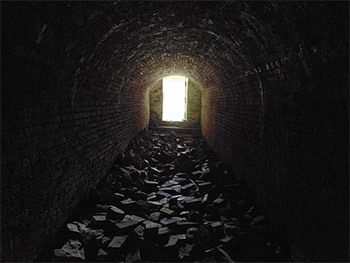 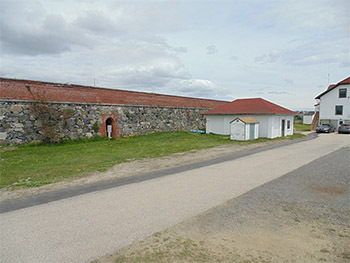 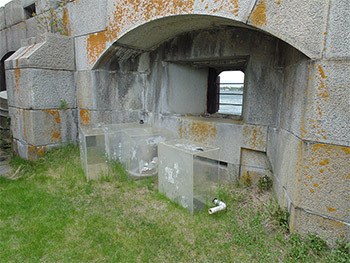 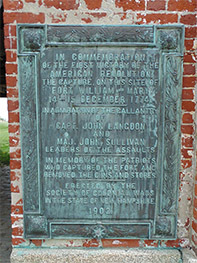 There are several aspects of Fort Constitution that will thrill the soul of any discerning starforter: The casemated Sentry Room inside the main gate; the Powder Magazine; the South Sally Port and the fort's heroic Civil War-era gunports overlooking Portsmouth Harbor all make the heart dance with giddy glee. 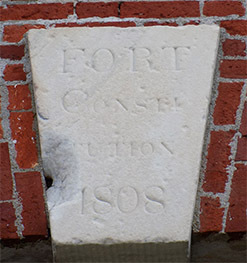 But ultimately, there's not a whole lot of fort at Fort Constitution. 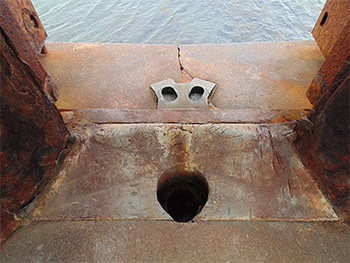 And what's there is in pretty sad shape. 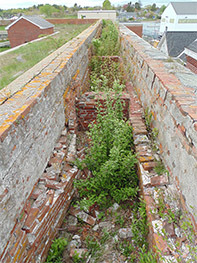 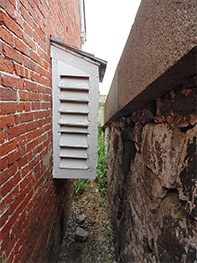 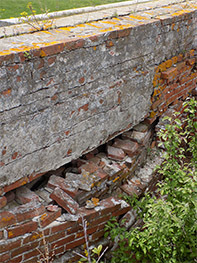 My main complaint regards the state of the fort's outer, landward walls, which appear partially empty from above. 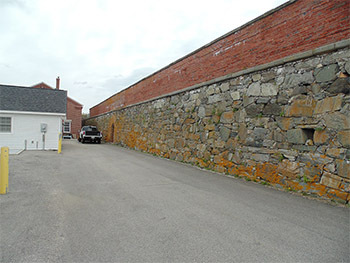 Fill those walls in with something, New Hampshire, before they buckle in on themselves, which they're already doing in places! 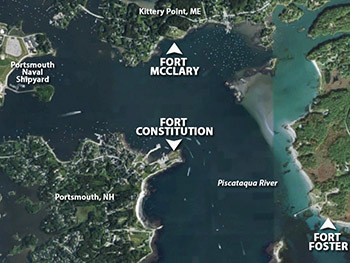 Fort Constitution would likely benefit from a committed local interest in its upkeep which, at my casual glance, it seems to lack. 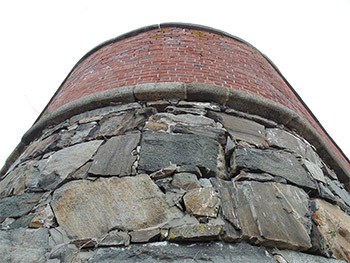 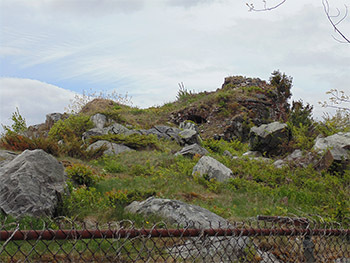 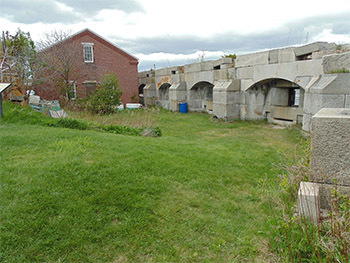 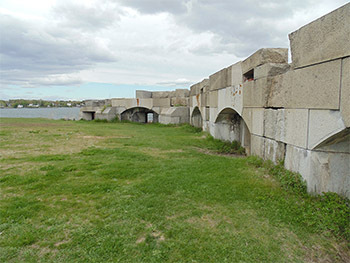 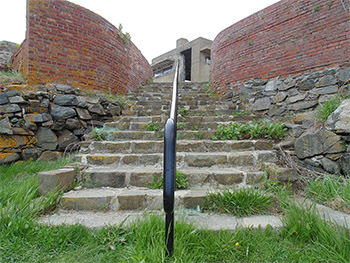 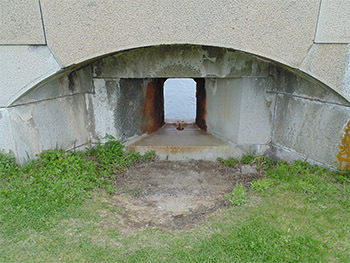 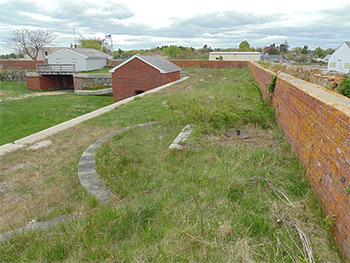 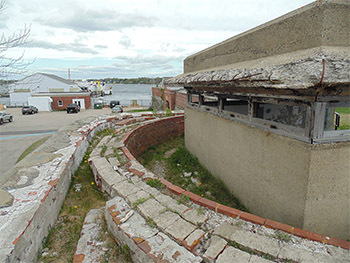 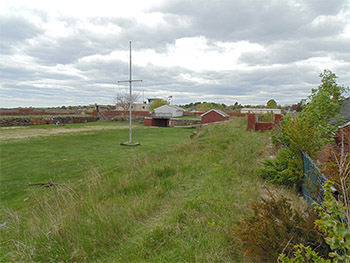 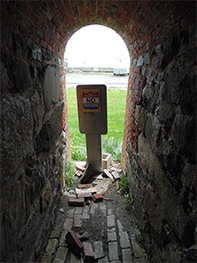 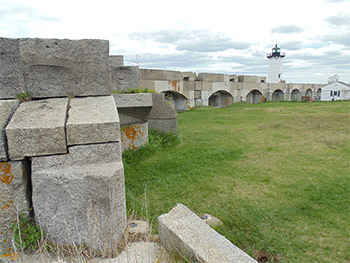 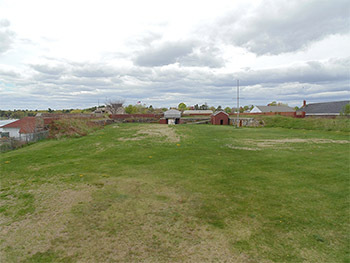 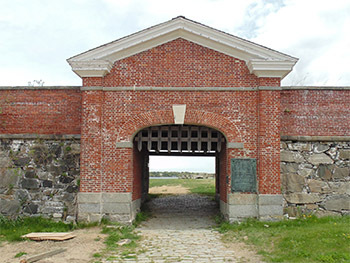 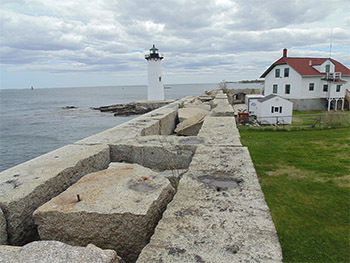 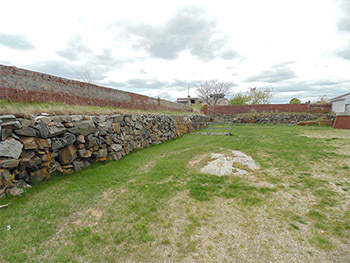 The fact that it is only one of seven fortifications built to guard Portsmouth Harbor might play a role in this lack, although Fort Constitution is the first, and thus the most historically significant, of those defenses. 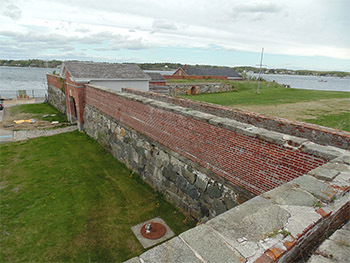 Please click on any of the images on this page to see its full-sizer, and read more about my visit to Fort Constitution!